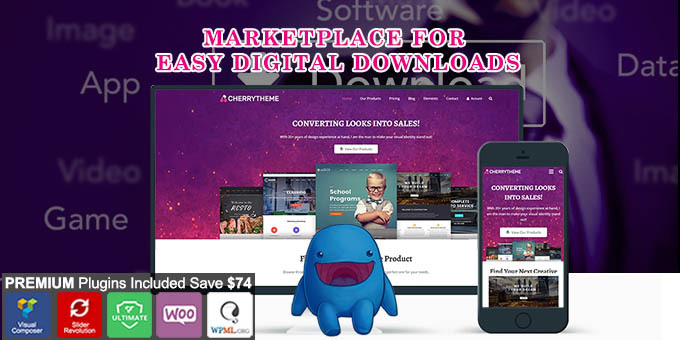 CherryTheme is a flexible shop & business WordPress EDD Theme offering deep integration with Easy Digital Downloads. It’s perfect to create your self-hosted online shop to sell the digital products like software, photography, videos, audios, eBook or graphic design works, etc. Either multi-product shop or single product website can be set up easily with CherryTheme. We believe CherryTheme will be one of the best Easy Digital Downloads Theme for your next project!.